I know, I know, I’m being sort of a party pooper to some of you. I know who you are, secretly judging me and thinking I’m ruining Christmas because I tell my kids that there’s no such thing as a “Santa”. The honest fact of the matter is that it’s a lot easier to not lie to my kids and make it to Heaven than to lie to my kids and try to justify it as good. I do have to say though. The whole Elf on the Shelf thing is pretty cute. And some of you crafty, witty, parents even come up with some fun and funny ways to trick your kiddos into being good each December. Does it work? But, if you’re like us, the Elf doesn’t necessarily fit into the narrative of Christmas in our home. 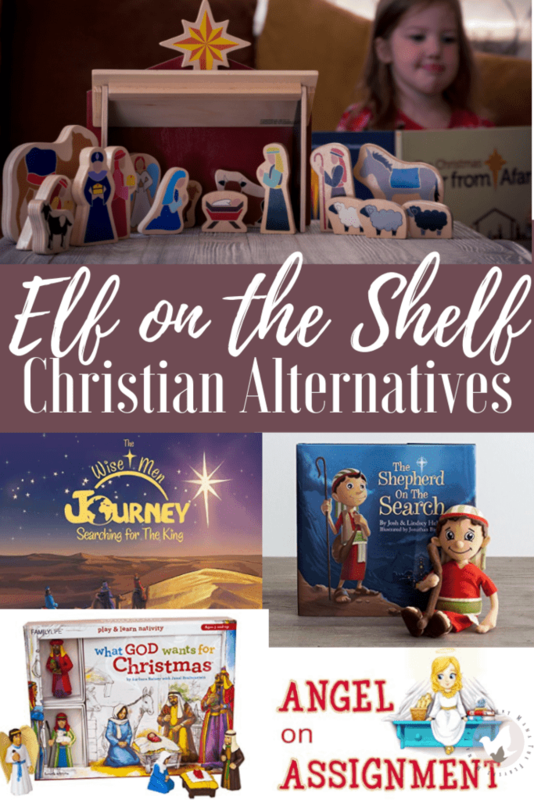 So you’re probably searching for some Christian alternatives to Elf on the Shelf, and we’ve got you covered! The Shepherd on the Search, a fun family activity that celebrates the birth of Christ. Take your own stuffed shepherd on a search to find the newborn king! We’ve talked with you about this one before, and we love our Star From Afar a little more each and every year! Walk through the story of Christmas with an interactive storybook, daily game, and wooden nativity set! Follow the angels through the first Christmas story and explore the ways guardian angels look out for boys and girls today. Angel on Assignment offers a Christian alternative to elf encouraging children to act as angels in disguise for friends who might need help. What God Wants for Christmas Kit includes everything needed for parents or teachers to share the story of Christmas confidently. This interactive nativity scene is perfect for any family, Sunday School, or homeschool room! The Wise Men Journey is an invitation to guide your family, for twenty-five days, in discovering the hidden treasures in the Word of God. What are your favorite Christian Alternatives to Elf on the Shelf? If you’re looking for kid-friendly Christmas decorations, we’ve got your back there too! 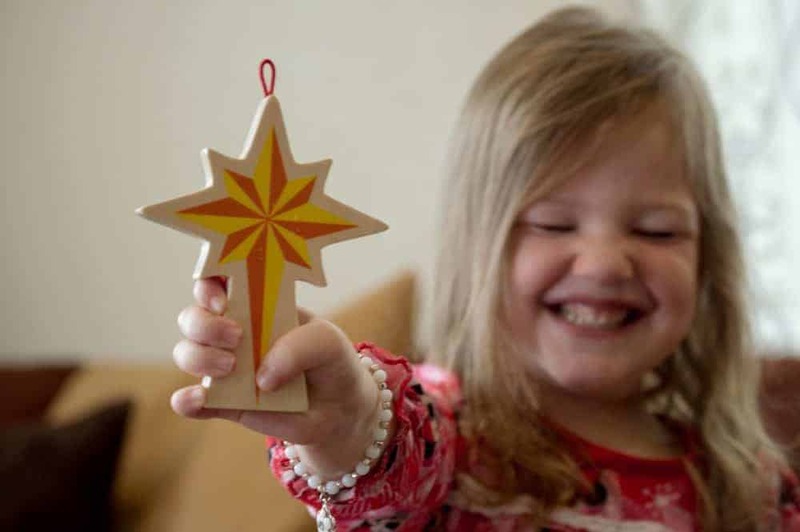 Check out this post about 20 of the best Kids Nativity Sets. « How Do You Prepare for a Road Trip with Kids?